When it comes to productivity, I am a true believer that it doesn’t just come knocking on your door early in the morning. 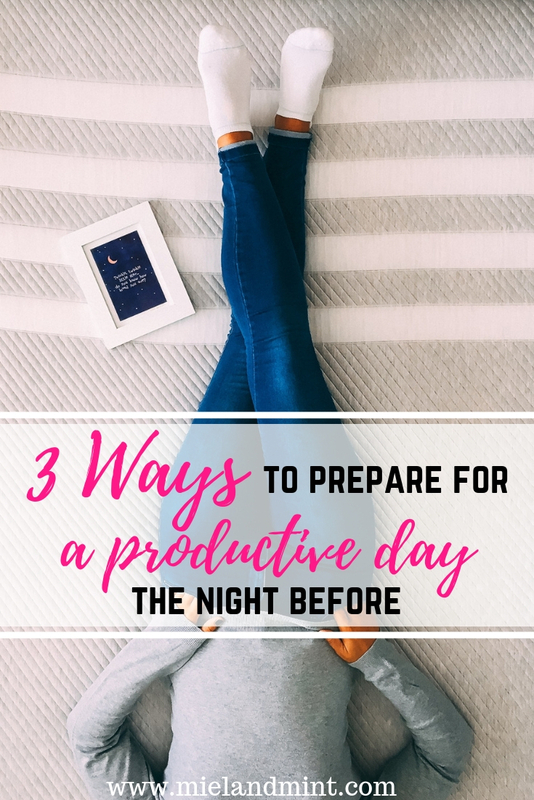 Yes, we are the most efficient first thing in the morning (well, in my case, after a giant mug of coffee) but the actions need to be taken the night before in order to save time the next day, avoid the unnecessary hassle and get those tasks fly off your to-do list. Too many times I had been too tired or just couldn’t be bothered to do the prep work in the evening. It led to anything from mild panic to a total chaos the following day. 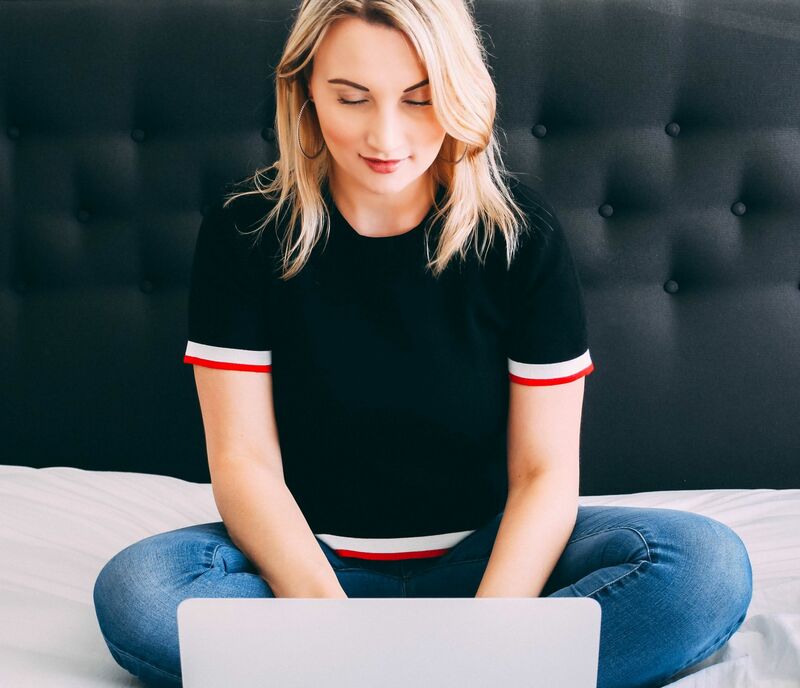 I started swapping my “bad” evening habits for good ones, and (as dramatic as this will sound) it has transformed my life! 1. Get a good sleep. Now, this advice might sound like a no-brainer but how difficult it is sometimes to simply get a good night’s sleep, am I right? We all have different circumstances, too. I personally have been all over the spectrum when it comes to sleep. There were times when I was studying for my Master’s late into the night and squeezing in those precious few hours of sleep between 3 and 6 am. I also worked 60+ hours a week (I basically had no weekends) and slept very little too, as you can imagine. After way too many years of this awful cycle, I managed to change things up, and now I am getting at least 7 hours of sleep every night. The quality of my sleep has improved massively too! I do understand that we are all different, and your current sleeping routine might differ from mine. At the same time, there are things we ALL can do to improve sleep. Start with the right mattress. I can’t even tell you how many times I have experienced good and bad (sometimes VERY bad) mattresses while traveling. The mattress will either save the day (and night!) or ruin it. The best thing is, though, is getting back home and climbing into your own bed. Why do I love my bed so much? Enter Leesa. My mattress is Out. Of. This. World. The Leesa mattress has got 3 (!) 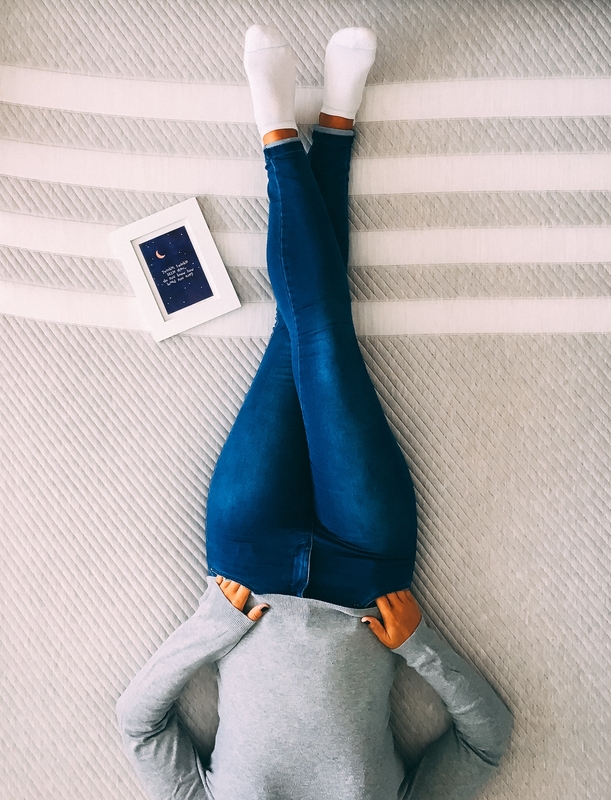 premium foam layers, each one with its unique purpose, that work together to adjust to your body perfectly providing optimum support and, as a result, super peaceful sleep. Leesa call this their Universal Adaptive Feel™ which, I can confirm, was put into action from night one. They say, it takes a person from 30 days to 2 months to adjust to the new “sleeping conditions”. How long did it take me? 1 night. I don’t know about you but the last thing I enjoy doing is going to showrooms and “testing” the mattresses. 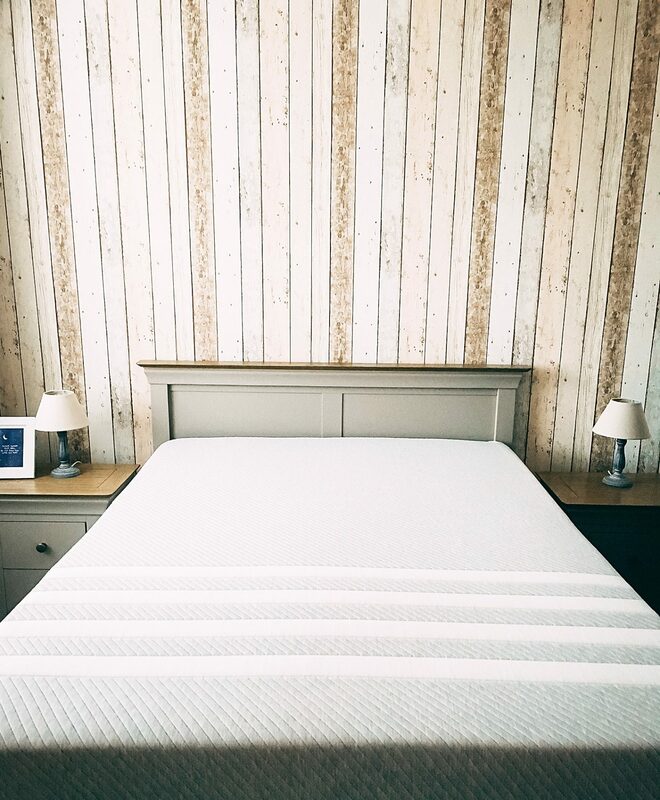 In my opinion, by choosing Leesa, you’re getting guaranteed the high quality you’re looking for in a mattress. It’s also delivered straight to your door, it’s super easy to unpack and get your bed sleep-ready. On top of that, Leesa kindly gives you a 100-night risk-free trial run with the mattress (which I am more than sure you won’t use). I love to support brands and companies that support those in need. For every 10 mattress they sell, they donate one (30,000+ mattresses donated so far!). Leesa also plants one tree for every single sold mattress. I personally vouch for this mattress and am thankful for my very comfy and peaceful sleep. 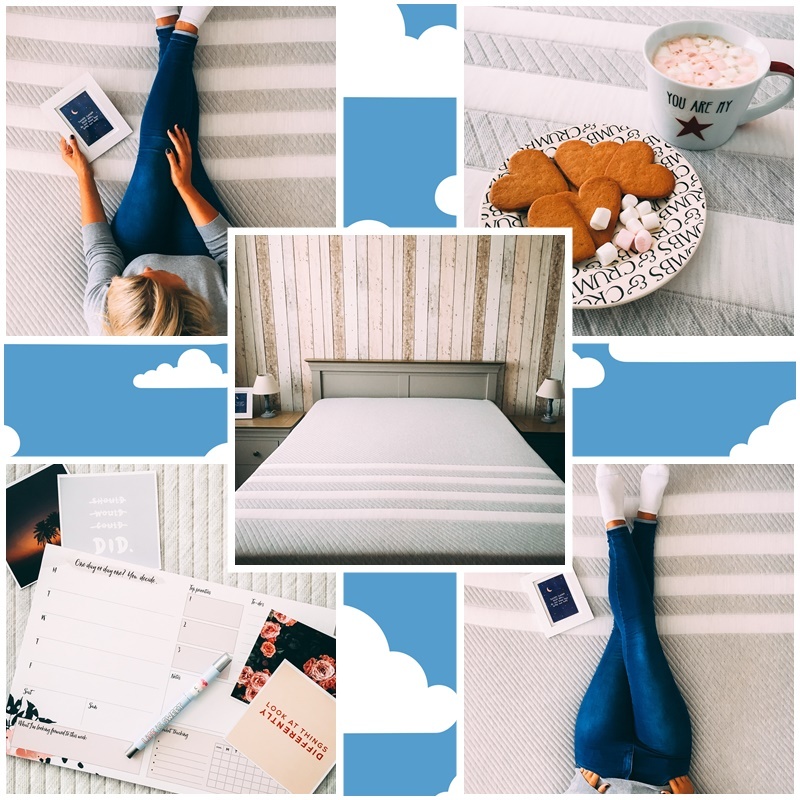 Our Leesa mattress has definitely contributed in a big way into helping both myself and my husband to sleep better, wake up feeling fresh and ready to be productivity ninjas! Get £100 OFF by applying the discount code MIELANDMINT. Click here to buy your own Leesa mattress. So many times I thought I knew what I needed to do the following day, and then bam! You wake up in the morning and you’re clueless as to what is priority, what could be done quickly/later or what could be postponed altogether. I have tried writing a to-do list in the morning. For some reason I would always overestimate the amount of time I have on that particular day. My to-do lists used to be super long, and I would always feel discouraged looking at them at the end of the day. A lot not done. A lot has to migrate to the next day. A lot needs more than one day to be finished. I go about my plan for the day differently now. First of all, I write one the night before. It lifts off the stress of having to waste time in the morning thinking what needs to be done that day. Secondly, I think of my top goals/results I want to achieve. Instead of crowding my to-do list with everything and anything, I jot down top three things I MUST do the following day. Then, I can add a few other important to-dos, but I purposefully try and keep that list short and achievable. Also, I make sure not to forget the important deadlines, meetings, events and responsibilities. I will definitely share more about how I build my to-do list if you’d like that. I have been working on improving this system for years and now it’s finally working perfectly for me. This doesn’t happen overnight, obviously. For many years I used to have sleeping habits that were all over the show. The time I went to bed could vary from 10 pm to 3 am, and I was always tired. I’m not saying I’m functioning 100% according to my routine right now (sometimes late nights are unavoidable) but I try to. It’s not just about your evening routine but even more so about the morning one. When I open my eyes in the morning, I know exactly what I am going to be doing in the next hour or two without thinking twice about it. Because I have done it maaaaaaaany times on a daily basis. Even at the weekends (well, most of the time). This one applies mostly to those of us who tend to keep working even after the work day has officially ended. Yes, it’s great we are “going after our dreams” and having that #GoGetter attitude (which I briefly mentioned in this Instagram post the other day) but hustling without having any rest and sacrificing spending time with those we love is an absolute joke. It doesn’t help us maintain healthy relationships, a healthy schedule or a healthy life. Finish work early or as early as you can, and give yourself time to re-charge your batteries and creative juices. I’m sure you have heard of this quirky habit many successful people have. They turn off their phones quite early in the evening or they leave them to charge in a different room, and never look at them until the next day. How many times have we all spent hours each night aimlessly scrolling through social media? Not only a) it’s a waste of time but also b) it doesn’t help you relax. Instead of occupying yourself with what others are doing, you could be writing your own plan for success. I find this one the hardest to do but every time I have done it, I have seen huge benefits. Of course, it’s perfectly fine to stay up a night or two a month and work on your goals/dreams but make sure you’re getting enough sleep during other 28-30 days every month. It goes without saying that it would make an immense impact of how you feel in the morning. Decisions we make the night before define how productive (or unproductive) we would be the next day. My other sleep/routine related blog posts are here & here. The Leesa mattress was kindly provided to me for the purpose of an unbiased review. All thoughts & opinions are my own and 100% honest. The content is sponsored, however it doesn’t influence the authenticity, sincerity and accuracy of this blog post. and share some of your tips and what you do the night before to be super-productive the next day.